Image is the primary need of the digital industry. Advertising companies, bloggers, social media influencers, YouTuber, designers. They all need image for every single project they are working on. If your job also involves the use of images, Depositphotos maybe is the resource you need. Depositphotos is basically a stock photo agency site, but it also offers other type of digital contents including vector graphic, illustration and footage. So, if you are a YouTuber or Instagram influencer and need additional materials for the contents you are working on, Depositphotos is the go-to place to consider. 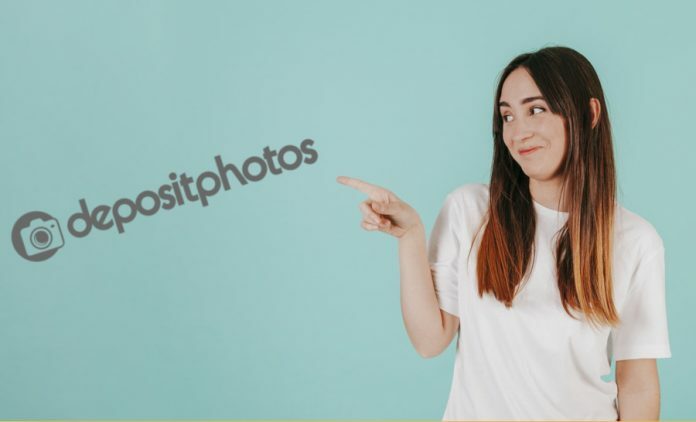 As mentioned earlier, Deposithotos is basically a stock photo agency. It is a Florida-based company that was founded in 2009 by Dmitry Sergeev. In addition to photographs, Depositphotos also offers other creative digital contents like graphic vector and footage. All digital contents available on Depositphotos are royalty-free contents. Meaning that you can use the contents you downloaded without paying the royalty fee to the creators. Depositphotos has an extremely abundant content collections. According to a brief intro on its website, there are over 100 million contents available on Depositphotos. At the time of writing, Depositphotos has been available in about 20 languages, indicating that this company has a wide global outreach. Depositphotos was initially a stock photo agency. As the time goes by, it extended its market by providing other content types. By now, you can get other content types than photograph like illustrations, footage to vector arts. All contents are very well-arranged to make it easy for you to find the contents according to your needs. You can browse contents by category. For instance, if you are looking for an image of a cat, you can go to the Animals category. Speaking of finding image, Depositphotos has a great search feature, which is crucial enough due to its extensive collections. Without an advanced search feature, it can be a very time-consuming to find an appropriate image on Depositphotos. To find appropriate images for your project, you can can type the keywords of the images you are looking for on the search box. On the search box, you can filter the results to display only photographs, vectors or footage. But, it’s just the beginning. Soon once you are directed to the search results page, you will see other advanced filter options offered by Depositphotos to narrow down the results. For instance, if you are looking for a kitten playing at the front yard, you can slide the button on the Extras section to Outdoor. In addition to the parameter above, there are several other parameters offered by Depositphotos to make it easier for you to find the images you need. To search for a cat image without human element, for instance, you can activate the Exclude People parameter and Depositphotos won’t show any image of cat that have a human element on it. You can also search for image by image size, author, orientation (portrait or landscape), and even color. All contents available on Depositphotos are royalty-free contents. You don’t need to pay the royalty fee to the creator of the content you use. They will get the money for every of their content downloaded by the Depositphotos users. Regarding the use of the contents you downloaded, it depends on the license of the associated contents. In general, there are two license types applied to the Depositphotos contents: standard license and extended license. There is also an additional license, Editorial Only. All contents under this license (This plan doesn’t require annual commitment which is great if you think that you don’t need any new images within a year to come) can only be used for informative purposes like blog posts, articles on printed magazines, reference books, and the similar contents. What are the differences between standard license and extended license? Basically, what makes it different between standard license and extended license is the use of the contents. For instance, if you use an image under the standard license for a leaflet or brochure, you can only have 500K copies of the leaflet or brochure, while extended license allows you to have unlimited copies. To learn more about the differences between standard license and extended license, you can visit this page. How to know the license applied to an image? It depends on the plan you choose. Depositphotos itself offers 6 plans for individuals and business, 3 each. Three plans for individuals are Subscription, Flexible Plan and On Deman. While three plans for business are Subscription, On Deman and Enterprise. To see the license you will get, you can hover your mouse over the question mark right next to the plan name. You will see a more detailed information regarding the features and applied license. Let’s take an example. Say you want to choose the Subscription plan for individual. With this plan, you will have a standard license and allowed to download up to 75 images per month for $69. If calculated individually, each image costs only about $0.92. Or $0.66 if you choose the 150 images option and $0.27 if you choose 750 images option. As a comparison, Shutterstock has a plan that allows you to download 50 images per month for $99. If calculated individually, each image costs $1.98. All plans offered by Depositphotos allow you to download images in the size you want. There are four image sizes offered by Depositphotos: small, large, extra large and super large. Depositphotos is a nice place to go if you have a job that involves image usage regularly, especially if you are the owner of a digital agency in which image is the primary material for your projects. Depositphotos has over 100 million contents you can download. From photos, illustrations, vector arts to footage. All contents are available in high-quality. All contents available on Depositphotos are royalty-free contents, meaning that you don’t need to pay the royalty fee to the creators of the contents you use. Depositphotos offers several plans according to your need, including Flexible Plan for individuals. This plan doesn’t require annual commitment which is great if you think that you don’t need any new images within a year to come. There are also plans for business to allow you work with your team members in choosing contents from Depositphotos.